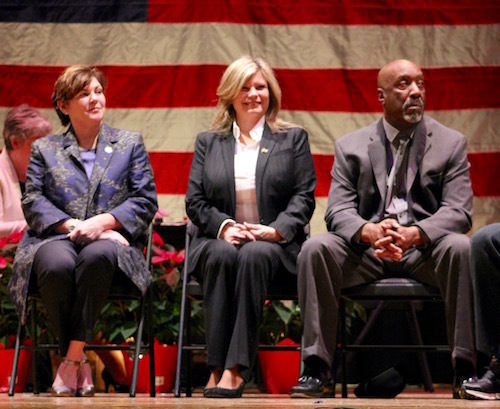 Riverhead Town Assessor Laverne Tennenberg, Councilwoman Catherine Kent, Town Supervisor Laura Jens-Smith, Councilwoman Jodi Giglio and Highway Superintendent George “Geo” Woodson at the inauguration New Year’s Day. 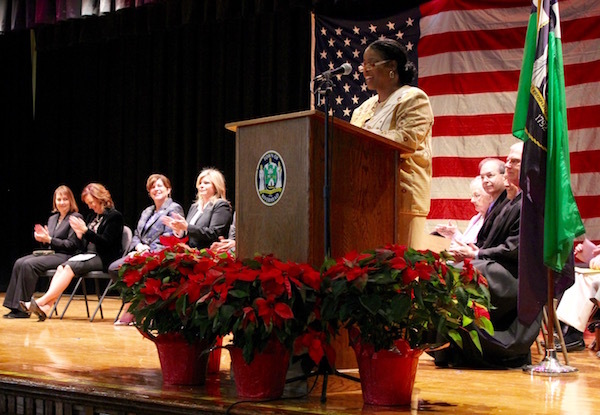 Riverhead Town Inaugurated its first-ever female town supervisor Jan. 1, in a packed ceremony at Pulaski Street School. 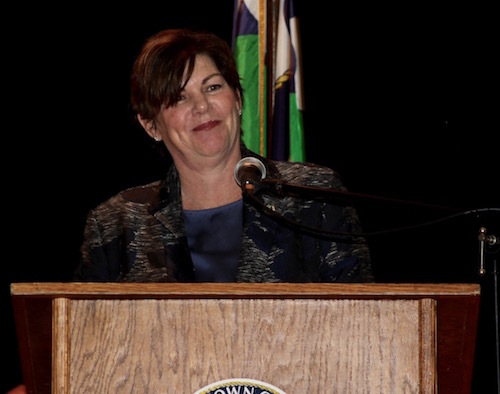 Laura Jens-Smith, who upset four-term incumbent town supervisor Sean Walter in November’s election, will be the town’s 62nd supervisor. 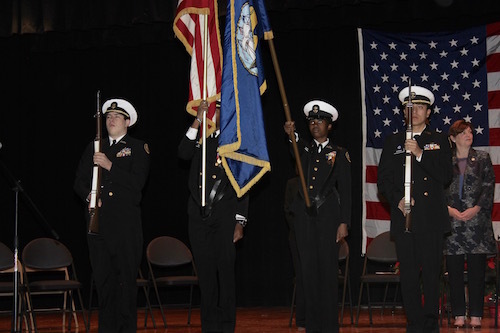 Ms. Jens-Smith spoke briefly at the ceremony, vowing never to give up fighting for the people of Riverhead, sharing a story she’d heard Admiral William McRaven tell in a commencement address about getting through Navy SEAL training. 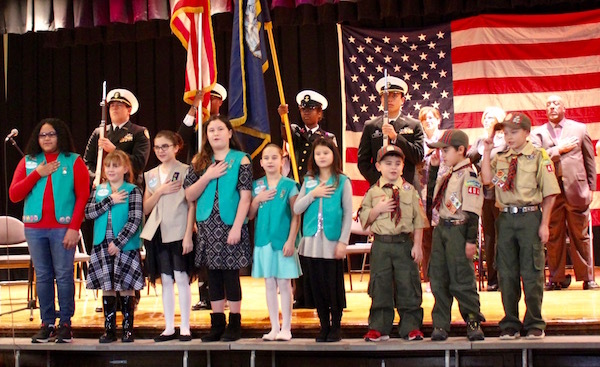 The Riverhead ROTC, Riverhead Cub Scout Pack 4041, Girl Scout Troop 3651, the Butterfly Effect Project and the First Baptist Church Choir participated in the ceremony, along with a signed performance of “You Raise Me Up” by students from the last class of incoming Councilwoman Catherine Kent, a recently retired teacher from the Riley Avenue Elementary School. 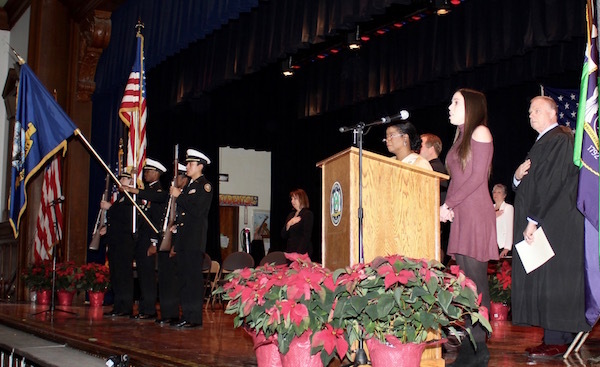 The National Anthem was sung by Lauren Anasky of Riverhead High School, followed by an invocation by Reverend Mary Cooper of the House of Praise Christian Revival Center. 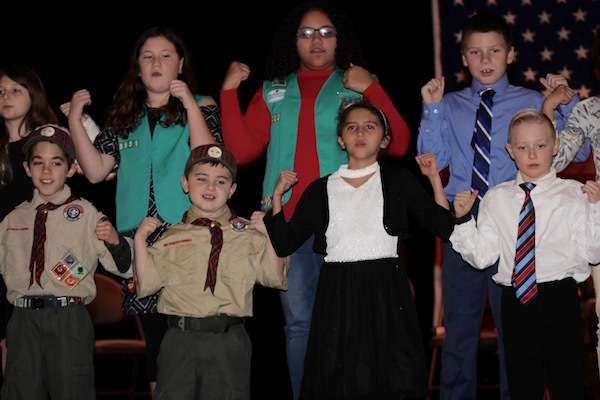 The ceremony included the swearing in of elected and re-elected officials, including Ms. Jens-Smith, Ms. Kent and incumbent Councilwoman Jodi Giglio, along with Highway Superintendent George Woodson and Town Assessor Laverne Tennenberg. 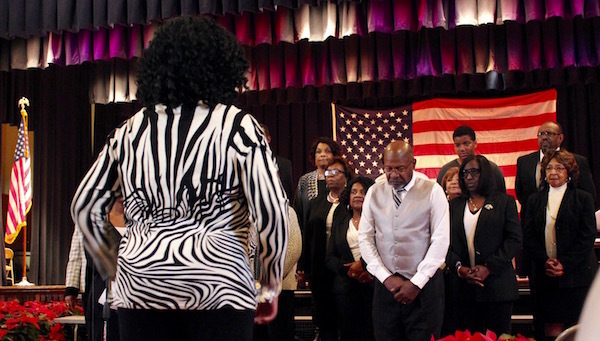 The First Baptist Church Choir sang “God Bless America,” then reminded Ms. Jens-Smith that her path won’t always be easy, singing the gospel song “Stand,” about how, when you’ve done all you can do to make things right, sometimes the only thing left to do is stand firm in your beliefs. 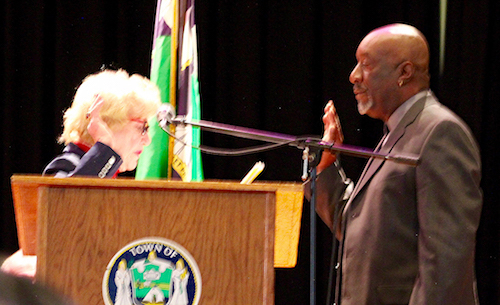 Sister Margaret Smyth of the North Fork Spanish Apostolate gave the closing benediction, praying for “wisdom in abundance” for the new town leaders as they begin their work. 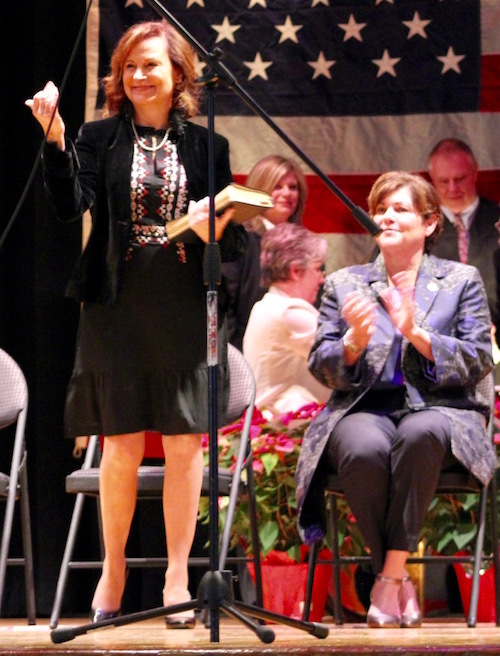 Good luck to Jens-Smith – Riverhead certainly needs a fresh approach since it’s the poorest Town on Long island with the highest taxes.